CASA (Community Action for a Sustainable Alameda) is a community-wide coalition dedicated to raising awareness, mobilizing community action, and facilitating the implementation of programs to achieve the goal of Alameda’s Local Action Plan for Climate Protection and to increase community sustainability and well-being. Find out how you can be involved here. 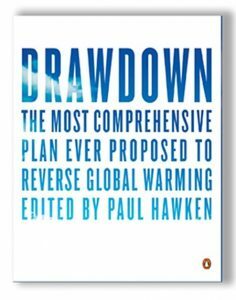 Reversing Global Warming: Introduction to Drawdown is a 2-hour workshop – open to all – that invites you to see both the possibility of reversing global warming and that you have an important role to play in that process. Please join us! Thanks to everyone who turned out to the Climate Action and Resiliency Plan Workshop! Over 100 participants provided meaningful input on greenhouse gas emissions reduction and climate adaptation strategies. 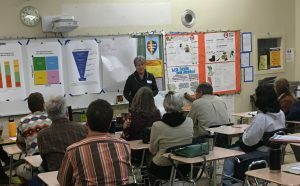 If you missed the workshop and still want to give input or if you attended the workshop, but have some additional thoughts, please log in to the Open Town Hall portal and provide your feedback. The City has also revamped its website and put a lot of resources on the Climate Action page. The city of Alameda has an exciting new partnership with Clean Water Action’s ReThink Disposable Program on an Ocean Protection Council grant-funded project called “Unpacking Alameda”, through the end of 2018. The ReThink Disposable team works with restaurants and food businesses across town to implement cost savings practices designed to reduce disposable packaging and transition to washable reusables.